Not to be confused with Mbombela Local Municipality. Mbombela (previously called Nelspruit) is a city in northeastern South Africa. It is the capital of the Mpumalanga province. Located on the Crocodile River, Mbombela lies about 110 kilometres (68 mi) by road west of the Mozambique border, 330 kilometres (210 mi) east of Johannesburg and about 82 kilometres (51 mi) North of the Swaziland border. Mbombela was founded as Nelspruit in 1895 by three brothers of the Nel family who grazed their cattle around the site during the winter months. During the Boer War, It served briefly as the seat of government for the South African Republic (not to be confused with the Republic of South Africa), an independent Boer republic. The settlement was a key stopover for the Eastern railway built by the Netherlands-South African Railway Company in the late 19th century which ran from the newly discovered Witwatersrand goldfields to Delagoa Bay (modern day Maputo) in Portuguese East Africa (modern day Mozambique). The discovery of gold in the region at places like Pilgrim's Rest and Barberton, Mpumalanga further encouraged development. Mbombela and the surrounding area contain San art. In October 2009, the South African government renamed the city "Mbombela", the same name as the local municipality of which it is part. The Lowveld Chamber of Business and Tourism (LCBT) approached the High Court of South Africa as a result of this name change. According to LCBT, members of the public were not consulted before the name change took place. In May 2014, the North Gauteng High Court approved the name change and decided that the name Mbombela stays. Mbombela hosts the University of Mpumalanga which was established in 2014, initially accommodating a modest intake of one hundred and forty students. The city has a Technical and Vocational Education and Training (TVET) college. The Lowveld Agricultural College is located just outside the city across from the Mpumalanga provincial legislature. Tshwane University of Technology has a satellite campus in Mbombela with well over 1,500 students. UNISA has an office in the city and offers distance courses. The city has four major public high schools. There has been a recent increase in the number of private schools in the area. Mbombela is home to the Agricultural Research Council's Institute for Tropical and Subtropical Crops and the Lowveld Botanical Gardens. Citrus Research International (CRI) has a major facility in the city. The Lowveld Agricultural College also conducts research in the field of botany. Mbombela is on the Maputo Corridor, a major trade route linking Johannesburg to Maputo in Mozambique which, with the Trans-Kalahari Corridor, forms a transport trunk that crosses the entire sub-continent from Walvis Bay in Namibia on the Atlantic Ocean to Maputo on the Indian Ocean. The N4 toll route is the main arterial route with a double lane highway all the way to Johannesburg and Pretoria. The city has two airports. Kruger Mpumalanga International Airport, located about 27 km (17 mi) north east of the city, opened in 2001 with scheduled flights to Johannesburg, Cape Town and Durban. International destinations include Livingstone in Zambia and Vilankulos in Mozambique. The R360 million complex has a 3.1 km (10,170.6 ft) runway and is capable of handling aircraft up to the size of a Boeing 747. The airport currently handles about 250,000 passengers per annum. Nelspruit Airport, located about 9 km (6 mi) south west of the city, is the city's original airport owned and operated by the municipality. There are over a hundred aircraft based at the airport. The majority of the aircraft are privately owned but there are several commercial aircraft based here as well. There are several AMO, fire fighting, charter & training companies based at the airport. The airport is limited in its potential operations by its runway length of 875 m (2870 ft). The topography of the area prohibits expansion. Mbombela is a major stopover point for tourists traveling to Kruger National Park and to Mozambique. Tourists from Mozambique stimulate the economy of the city significantly. Many people from Mozambique and Swaziland travel to Mbombela for their monthly grocery shopping. Mbombela is home to Emnotweni Casino on the way to White River. The Alkmaar Raceway is a motocross track which hosted the South African Motocross Grand Prix, part of the world championship series, in 2008. A football and Rugby stadium was constructed in Mbombela for the 2010 FIFA World Cup. Finished in November 2009, it was named Mbombela Stadium and has a capacity of 43 500. R1.05 billion was spent on the construction of the stadium which was riddled with allegations of mismanagement and corruption. The stadium hosted four 2010 FIFA World Cup matches. The stadium is the current home of the Pumas rugby team. In 2013 it hosted two rugby test matches, Italy played Samoa followed by South Africa against Scotland. The Stadium hosts regular Premier Soccer League matches with Bidvest Wits, Kaizer Chiefs, Orlando Pirates and Mpumalanga Black Aces regularly playing host. The Nelspruit Golf Club was renamed Mbombela Golf Club in 2017 after a racial incident. The club announced that it aims to increase its black membership and decided to pay caddies a basic salary. Lowveld Media is a major printer and publisher of newsprint materials in the region. Major newspapers include the Lowvelder, Mpumalanga News and Nelspruit Post. Magazines like Lowveld Living have proven to be very popular. African Eye News Service is an established news agency in Mbombela which writes articles for national newspapers and websites. The SABC has a regional office in the city. Jacaranda FM recently opened a studio at the Riverside Mall next to the Emnotweni Casino. Ligwalagwala FM is the largest SABC-owned radio station in the city and the Mpumalanga Province. It is a public broadcaster which primarily broadcasts in the Swazi language. RISE FM (originally named MPowerFM before it was bought out by the Times Media Group) is an independent commercial radio station broadcasting in English from studios in Mbombela and eMalahleni to the province of Mpumalanga, and the Afrikaans local community radio station called "Radio Laeveld 100.5fm" broadcasts to the Lowveld area from Mbombela. The city host several entertainment venues with the most prominent being the Emnotweni Casino complex. The city has a civic center with a large theater that hosts regular events. Mbombela has its own version of concert in the park with annual performances by musicians in the Lowveld Botanical Gardens. Mbombela is the financial and banking capital of Mpumalanga. All four major South African banks have provincial headquarters here. The city has a strong consumer based retail industry boosted significantly by neighboring Mozambican and Swazi tourists. The city has various major shopping centers and malls the most notable being Riverside and Ilanga malls. Recently various other shopping destinations have been introduced into the city such as "The Crossing Shopping Center" and "The City Center". There are many citrus farms in the area. 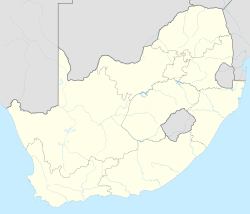 It is a key agricultural processing hub for northeastern South Africa. Major industries include the canning, juicing and extract of citrus fruit and other produce. Fertile soils and the subtropical climate provide perfect conditions for the growing of citrus and tropical fruits, mainly mango, banana, avocado, papaya and macadamia nuts. The region produces over 700 tons of macadamia nuts per year. Sugar is also big business in the region. TSB, the producer of Selati sugar is located a few kilometers east of the city. The low-lying areas in the region is dotted with sugarcane farms. The economy is heavily reliant on the forestry sector. SAPPI has a paper mill west of the city which was recently upgraded to produce cellulose fibers for various applications. Mbombela is the global headquarters of KISHUGU which is the parent company of Working on Fire. KISHUGU is also a major player in the forestry sector. The region has many timber related industries such as lumber and saw mills as well as furniture, crate and carton manufacturing industries. Mozambique has a consulate in the city. Mbombela features a humid subtropical climate (Köppen Cwa) with mild winters and hot summers. Due to the altitude, summers are not as hot as one might expect. Summers are hot and somewhat humid, complete with high precipitation. Winters in the city are dry, with relatively warm temperatures during the day and chilly temperatures at night. ^ a b c d "Main Place Mbombela". Census 2011. ^ Johwa, Wilson (29 January 2010). "Mashatile postpones name changes after 'technicality' | Archive | BDlive". Businessday.co.za. Retrieved 13 May 2014. ^ "High court rules in favour of Nelspruit name change". Mpumalanga News. 14 May 2014. Retrieved 19 June 2016. ^ "Nelspruit name dispute put to rest". News24. 11 May 2014. Retrieved 19 June 2016. ^ "Home | MXGP". Motocrossmx1.com. Retrieved 13 May 2014. ^ Khoza, Mandla. "Racist incident leads to golf club transformation". sowetanlive.co.za. The Sowetan. Retrieved 4 June 2017. ^ "Tuis". Radiolaeveld.co.za. 6 March 2014. Retrieved 13 May 2014. ^ "Climate data for Nelspruit (or Friedenheim rather)". South African Weather Service. Archived from the original on 8 March 2010. Retrieved 7 March 2010.